A pretty young woman who appears to be in her teenage years, poses for her portrait in Homer, New York. The photographer who produced this cabinet card was McGillivray. The photographers first name is currently unidentified. The woman in the photograph is identified in a notation on the reverse of the image as Mayme Share Eldridge. Research revealed no information about Ms. Eldridge. 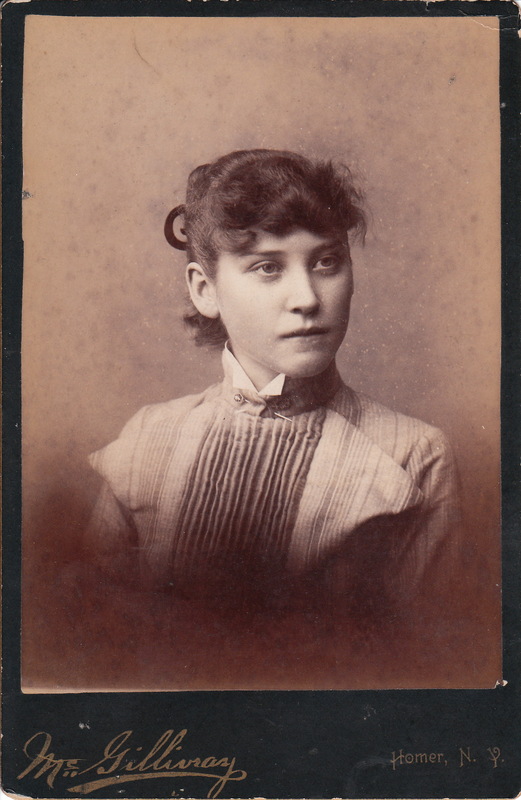 This cabinet card portrait is in very good condition.